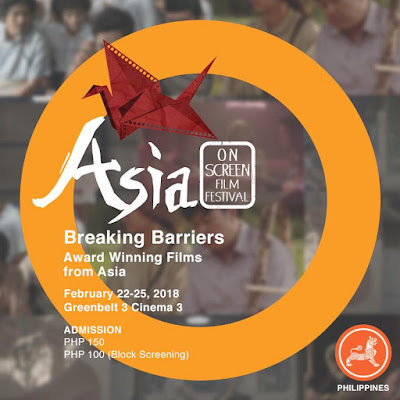 Asia Society Philippines, Ayala Malls Cinemas, the Film Development Council of the Philippines, and Security Bank, invite everyone to participate in Manila’s premier festival of Asian independent cinema. 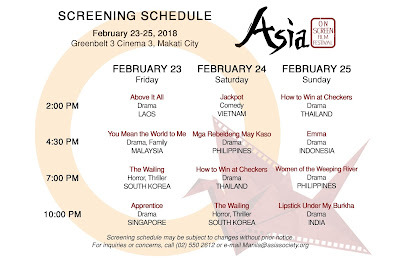 Asia On Screen films will be screened at Greenbelt 3 Cinema 3 in Makati City from February 22 to 25, 2018. 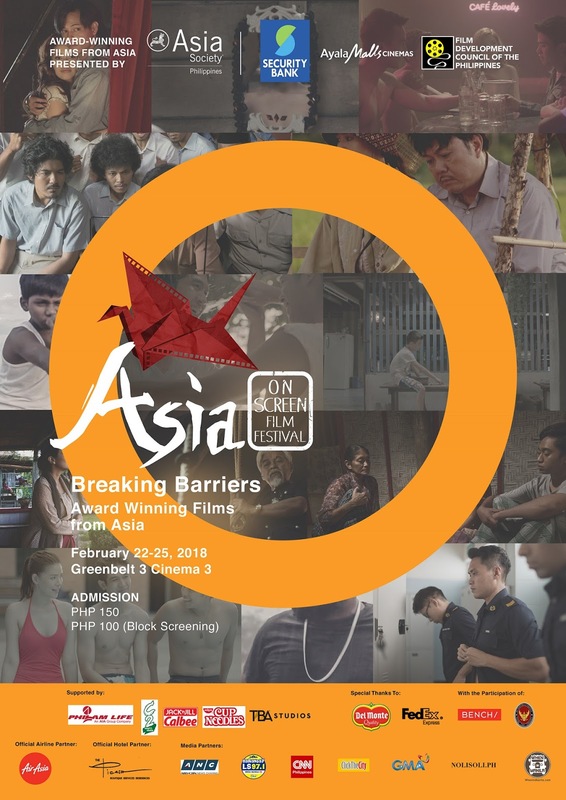 Directors Dialogue (22 February 2018, Thursday, 3-5pm) – A gathering of directors participating in Asia On Screen films, featuring Anysay Keola (Laos), Saw Teong Hin (Malaysia), and Sheron Dayoc (Philippines), to talk about the film industries in their respective countries, and the stories behind their films. Admission is at Php350, with a discounted rate of Php 250 for students. Ticket price is inclusive of entry to Opening Night, which directly follows this event. You Mean The World To Me (Malaysia) captures the depths of love for family, even through - and especially during - difficult times. The Wailing (Korea) follows investigating officer Jong-Goo on his mission to capture the man behind the mysterious slew of murders in his village. Above It All (Laos) paints a picture of the attitudes surrounding homosexuality in Laos’ Hmong minority. Apprentice (Singapore) explores the often debated, yet taboo issue of capital punishment. How to Win at Checkers (Thailand) examines the joys and pains of growing up in contemporary Thailand through the eyes of an orphaned young boy. Jackpot (Vietnam) warmly narrates the plight of a poor lottery saleswoman who discovers that one of her customers bought the winning ticket. Women of the Weeping River (Philippines) offers a closer glimpse at the different discords and cultures of Mindanao through the perspectives of two women. 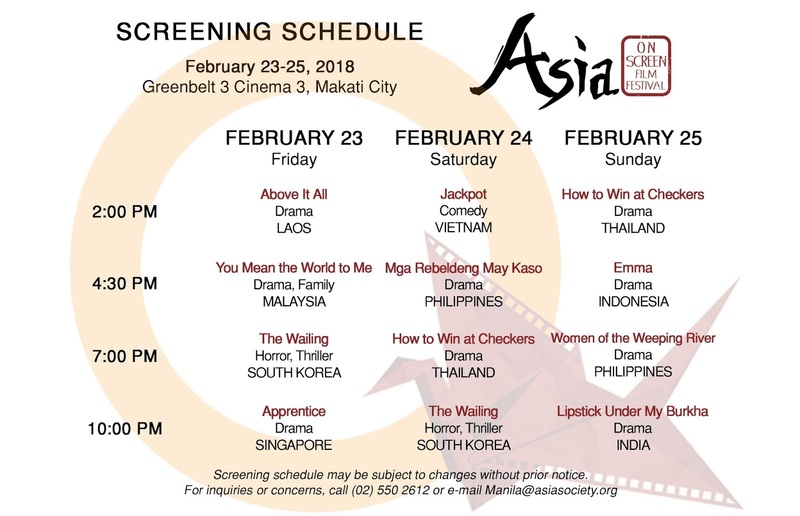 Mga Rebeldeng May Kaso (Philippines) follows a group of young indie filmmakers during the politically-charged, rapidly-changing epoch of the People Power Revolution of 1986. 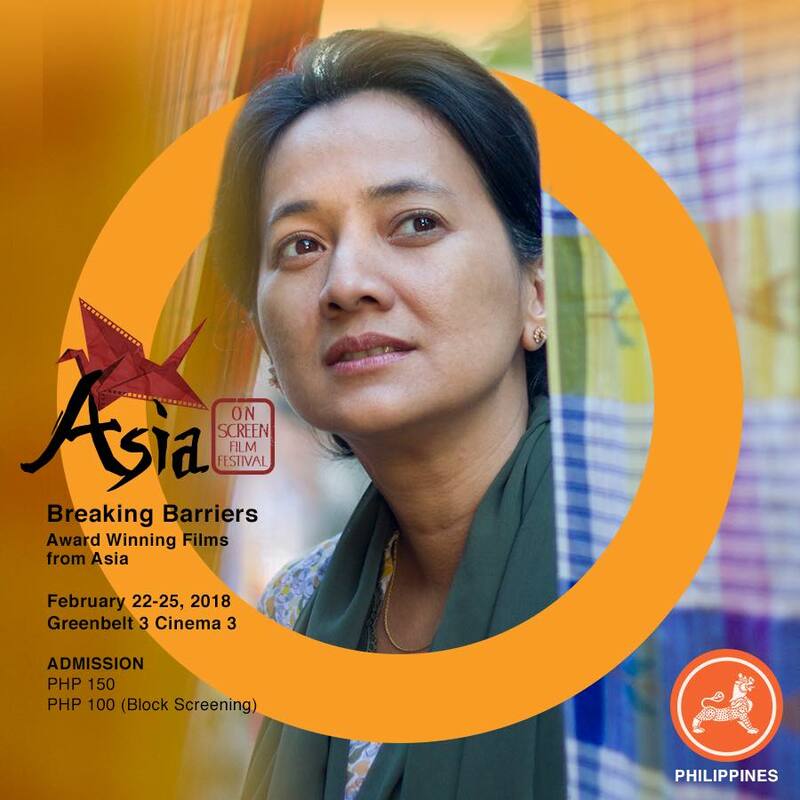 Emma (Mother) (Indonesia) tackles the traditions of Indonesia through the eyes of a mother struggling to find peace amidst her husband’s polygamy. Lipstick Under My Burkha (India) chronicles three brave, hopeful Indian women who desire to break free from the chains of their conservative society. Tickets are available now at sureseats.com at Php 150 only.